A common critique leveled at the Book of Mormon has to do with the story of the Jaredites and their migration to the New World. In particular, the claim is made that the Jaredites (whom critics presume to be just a few years past the stone age) lighting their barges with glowing stones is scientifically ridiculous. What I love about studying Book of Mormon apologetics is that, without fail, new evidence comes to light regularly to "confound the wise". See "The Bologna Stone Was A Mystery For 400 Years". If you've read the Jaredite account, you know that the Lord asked the Brother of Jared to come up with his own solution to the barge lighting problem. 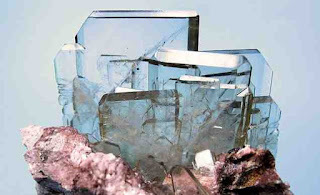 It is entirely possible that the Jaredites were technologically advanced enough to know how to make a similar material. The process is repeatable.